The photographer's logo, OC Sparstad (Minneapolis) crosses a seal with "Sacred Heart" and Bess is wearing a cross. The Whittier girls were contemporaries of the Littlefield girls and Fred Stewart. 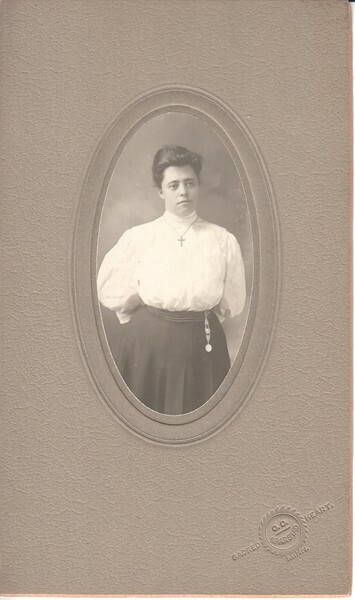 Bess is in the 1900 Minneapolis city directory as a student, but this may be from post-high-school when she may have attended or taught at a religious institution.